I work in the fund-raising office of a Catholic high school for girls, and while ordinarily I don't have much contact with students (I spend most days glued to the computer), I do have occasion to visit the classrooms. 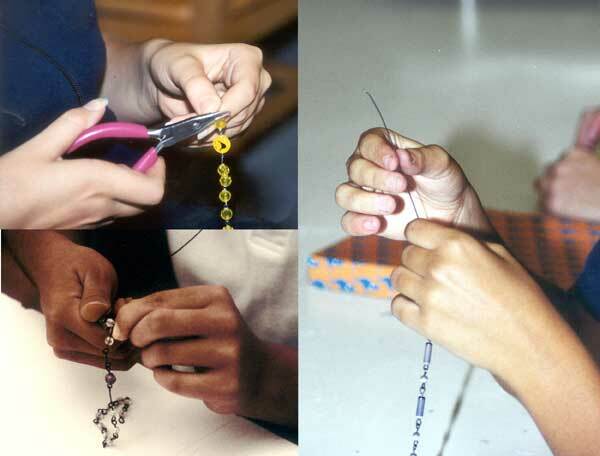 Last year one of our art teachers became intrigued by my interest in rosaries and decided that making a rosary would be a good project to introduce students to basic wirework technique. I came in and did a "history of the rosary in five minutes" thing, and the students were given wire and let loose on the art department's bead collection. 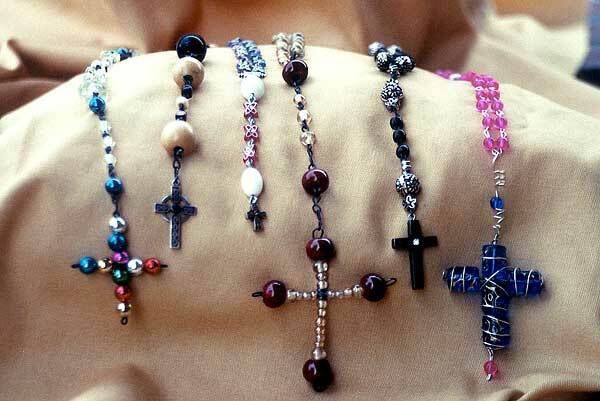 The results were some lovely, often unconventional, and sometimes downright witty rosaries, many of them made as gifts for family members. What's that -- a head?